The Polish Science Contact Agency PolSCA since April the 26th 2016 is registered in the EU Transparency register under the identification number: 055587821539-77, Section IV – Think tanks, research and academic institutions. PolSCA is also non profit international association AISBL (Moniteur belge, 884.331.776). Early into 2004 the President of the Polish Academy of Sciences (PAS) initiated efforts aimed at creating an office based in Brussels that would support the participation of Polish science in the European Research Area. The final shape of the new PAS foreign unit was agreed at the end of 2004. Consequently, Polish Science Contact Agency (PolSCA) started its activities in March 2005. For a transitional year 2005 and the first quarter 2006 PolSCA Office functioned as a section of the PAS Scientific Centre in Paris. Since April 2006, PolSCA has been operating in Brussels as an independent foreign PAS unit parallel to the other PAS centers in Paris, Rome, Vienna, Berlin, and Kiev. PolSCA is a subsidiary scientific establishment created on the basis of Art. 68 of the Statutory Act of the PAS and has a legal personality in Belgium. PolSCA is supervised and funded by the Polish Academy of Sciences. It represents all Polish scientific institutions and communities and acts for their benefit. The mission of PolSCA is to promote, facilitate and foster participation of the Polish R&D community in European projects and initiatives and in particular to reinforce Polands position in the EU framework programs. Professor of sociology and political science. She has been working at Warsaw School of Economics for twenty years. She studied social anthropology at the Sorbonne University (V University of Rene Descartes) in France where she completed her BA degree. After her studies in France , she came back to Warsaw to receive her Master degree in sociology in 1996. Her Master thesis was a sociological analysis of the actors’ boycott of radio and television during the martial law in Poland introduced on the 13th of December 1981 (the thesis was later published as a book in 1996 by Oficyna Naukowa in Warsaw). She studied also management at HEC and SGH, as a post-graduate student (1995-1996). She decided to start Ph. D. studies in sociology. Her PhD thesis – defended at the Warsaw University in the Institute of Sociology in 2004 – examined patterns of lobbying and Polish model of lobbying. was her Habilitation was the next step in her academic career. She published a book on celebrities in the public life. (Czas celebrytów. Mediatyzacja życia publicznego/The Time of Celebrities. Mediatization of the Public Life, Difin, 2013). Since June 2018 she has been representing abroad the Polish Academy of Sciences as a Director of the Polish Contact Agency in Brussels. She is also a member of the Directory Association France-Pologne and expert of international nongovernment association EUROPA (Entretiens Universitaires pour l’Administration Publique). Since 2009 she has been a member of the Citizens’ Legislative Forum, founded by the Batory Foundation. She is an author and co-author of numerous publications regarding lobbying, media and communications. Her current research interests focus on: advocacy, groups of interest, media and communication. Since January 2018 he is an expert in the Polish Science Contact Agency in Brussels, responsible for communication and cooperation with the environment. Adam is a graduate of Romance languages studies, political scientist, doctor of humanities at the University of Silesia and University of Sorbonne Nouvelle Paris – 3, scholarship holder of the French Government, the author of a doctoral dissertation on creating the image of popular contemporary writers in France. 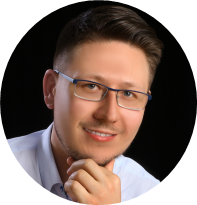 He started his professional career in the private sector at Capgemini, then for five years he joined the Institute of Romance Languages and Translation Studies at the University of Silesia, where he was a lecturer on interpretation and translation. He was also in charge of international relations at the Czestochowa City Hall. 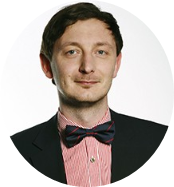 Since November 2018 he is an expert at the Polish Science Contact Agency (PolSCA) in Brussels, responsible for monitoring of EU policies related to research, development and innovation. Tomasz is a graduate of the Poznan University of Life Sciences. In 2002–2003 he participated in the Master of Sciences programme: Advances Studies in Molecular Biotechnology at the University of Ghent, Belgium. In 2004 he was awarded with Marie Curie Fellowship for Early Stage Training and pursued a 4-years long rotation PhD programme at the John Innes Centre, Norwich, UK. After receiving his PhD degree from the University of East Anglia in 2008, he moved to National Institute of Basic Biology in Okazaki, Japan under the JSPS fellowship. In 2010 he returned to Poland and joined the Foundation for Polish Science – a largest NGO, non-profit organisation which pursues the mission of supporting science in Poland. Since then he was involved in overseeing the implementation of programs financed from the FNP’s own funds and programs financed under the ERDF 2014-2020 budget. Since October 2018 she is a specialist in the Polish Science Contact Agency in Brussels, being in charge of administrative, organizational as well as communication issues. 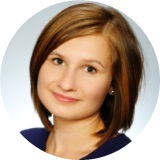 Justyna is a sociologist with educational background and professional experience in the field of administration, doctor of social sciences, researcher, member of the International Association for Time Use Research. A scholarship holder of the AMU Foundation, The Association of Consumer Research, and the Unique Graduate program. 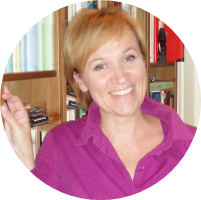 She is the author and co-author of several publications as well as a participant in numerous research projects; she has also actively taken part in many academic conferences (including 15 international conferences). In 2015-2018 she was the manager of the grant of National Science Centre about slow life phenomenon, the findings of which were published in the book Living in your own rhythm: a sociological study of slow life in an era of social acceleration (Universitas, 2018). Her scientific interests focus on methodology of qualitative research, temporal aspects of society and the sociology of everyday life. organization of meetings and seminars in Brussels that support the fulfilment of the Office’s mission; participating in events key to the promotion of Polish science in the European Research Area.